Villa Rico is located in Binibeca Vell, Menorca. This detached vacation rental property is air-conditioned and sleeps up to 6 people with 3 bedrooms, 3 bathrooms along with private swimming pool. Villa Satalaia is located in Cala Galdana, Menorca. 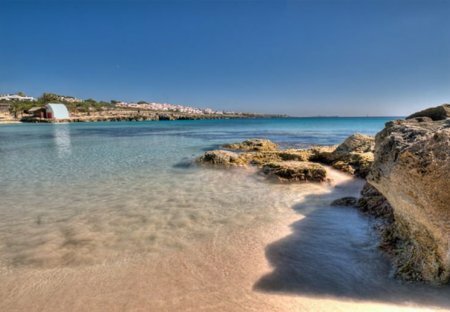 Villa Evelyn is located in Cala en Porter, Menorca. Villa Trepuco Uno is located in Punta Prima, Menorca. Villa Salzina is located in Cala Galdana, Menorca. This vacation rental property is air-conditioned and sleeps up to 6 people with 3 bedrooms, 2 bathrooms along with private swimming pool. Villa Tres Pinos is located in Sant Lluis, Menorca. This detached vacation rental property is air-conditioned and sleeps up to 4 people with 2 bedrooms, 1 bathroom along with private swimming pool. Villa Trepuco Dos is located in Punta Prima, Menorca. Casa Anna is located in Binibeca Vell, Menorca. This detached vacation rental property sleeps up to 6 people with 3 bedrooms, 2 bathrooms along with private swimming pool (South West Facing) . Villa Cala Galdana 7 is located in Cala Galdana, Menorca. Villa Pepa is located in Cala Galdana, Menorca. This vacation rental property sleeps up to 6 people with 4 bedrooms, 2 bathrooms along with private swimming pool. Villa Iris Torret is located in Biniancolla, Menorca. Villa Finca Son Roseta is located in Ciutadella, Menorca. Villa Ca Nostra is located in Cala en Porter, Menorca. 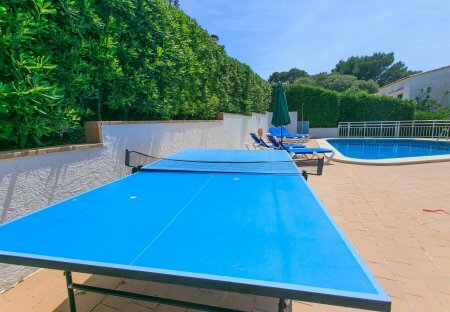 Villa Ingrid is located in Cala en Blanes, Menorca. Villa Raquel is located in Cala en Blanes, Menorca. Villa Elizabeth is located in Cala en Blanes, Menorca. This 3 bedroom villa with private pool is located in Cala Tirant and sleeps 6 people. It has WiFi and air conditioning. The villa is within walking distance of a beach.